When you want a San Antonio moving company with the experience and reputation to stand behind their promises, you need the experts at All Pro Moving on your side. 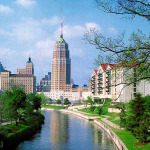 Our San Antonio moving team has been proudly serving San Antonio and the surrounding areas since 1920, making it one of San Antonio’s oldest and most consistently successful businesses. Although times have changed a great deal since then, our core values are still the same: an unwavering commitment to community, family, and pride in a job well done. That’s why we’re the San Antonio moving service trusted by generations; whether you’re looking to move across town, across Texas, or clear across the country, we’ll make the process easier for you to handle. 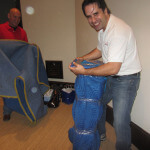 Your San Antonio Mover, Why Move with All Pro! We know that sometimes even the most well-coordinated move isn’t planned with a lot of advance notice, and unlike many other San Antonio movers, we make our moving services available to suit a large variety of budgets and time frames. 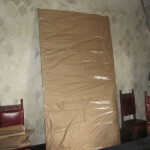 We make our San Antonio moving services available 7 days a week. We’re thoroughly licensed, bonded, and insured for your protection, and we’re are even available to assemble or disassemble your furniture for free, making the whole transition easier and less labor-intensive for you. If you’re looking at San Antonio moving companies and you want a mover that delivers results and fair pricing, rather than attractive promises and hype without substance, count on All Pro Moving to make your next transition a seamless one. With us, what you see is what you get — we never add any hidden charges or fees halfway through the process, and we never leave you waiting on a truck that shows up hours late. When you’re ready to make your next move without the hassle, call us for a free estimate! 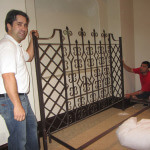 All About Professional Movers in San Antonio gives tips to prepare for a move, long-distance moves and more. Call 210-820-3027 or contact us today!